New Delhi: Aviation ministry proposes to provide ₹ 33,000 crore ($6.22 billion) to cash-strapped Air India by 2017 as part of the government’s 12th Five-Year Plan, according to a working group report seen by Reuters. The report says the total debts of the country’s airlines are expected to rise to $20 billion in 2011-12 ending March as they struggle with rising oil prices, high sales taxes on jet fuel and below-cost pricing driven by fierce competition. State-owned Air India, which is burdened with a debt of $4 billion, said on Thursday its board had approved issuing ₹ 7,500 crore worth of shares to its lenders as part of its financial restructuring. It gave no details on the exact stakes lenders may own. A consortium of Air India’s lenders last month gave broad approval to its financial restructuring, a source previously told Reuters. 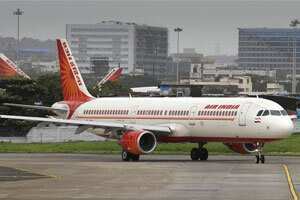 Air India is expected to account for more than half of the projected total losses of $3 billion for Indian airlines in 2011-12, the Centre for Asia Pacific Aviation has said. Domestic air passenger traffic is expected to grow by 12% a year until 2017, the working group report shows. The aviation ministry also proposes to spend ₹ 17,500 crore on the development of airports, the report shows.